koda is helping customers to make one last journey in their qualifying ten-year old cars, with some of the most competitive offers in the industry. koda has confirmed its participation in the government’s scrappage scheme. It might be an emotional journey to trade in an old car, but low on-the-road prices and very attractive finance offers on vehicles across the koda range will make it easier to say goodbye. 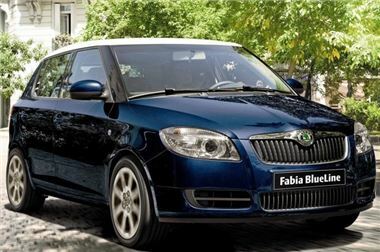 The koda Fabia now starts at just £5,995 with the manufacturer topping up the government’s £1,000 payment with a contribution of over £1,600. The Octavia, koda’s award-winning mid-size family car, is now available from only £8,995, with the brand adding £1,545 to the government’s £1,000. All other models, including the award-winning flagship Superb and the popular Roomster, have £2,500 off, with £1,500 of that contributed by koda. To qualify for the scrappage scheme, cars being turned in must have been registered on or before 31 August 1999, must have a current MoT or one that expired withing 14 days, and the driver applying to scrap the vehicle must have been its owner for at least 12 months.